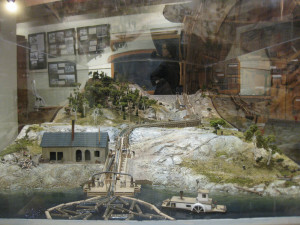 This unique piece of engineering took place at Dorset, in Big Trading Bay, Lake of Bays in 1894. The task of the Tramway was to lift 400,000 pine logs over a 30 metres (90 feet) height of land, while moving them a distance of 2 km. 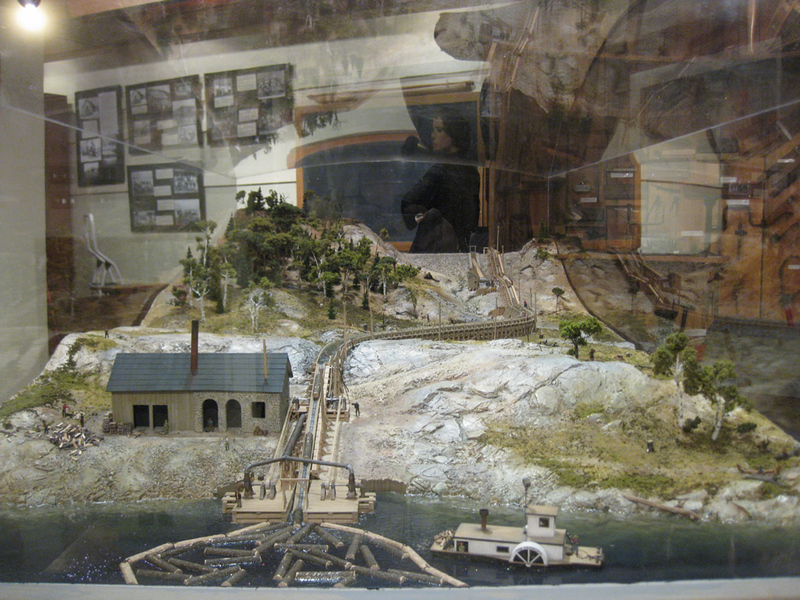 At the Dorset end, a stone building was constructed to house the steam engine needed to power 2 large water pumps. It also powered a jack ladder, which is an endless chain, to lift the logs the first 10 metres of their journey into a large wooden trough or sluice way that they had built. It was one and three quarters kms in length. 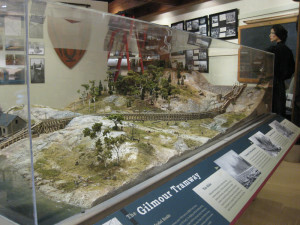 The trough filled with water would carry the logs along to two more jack ladders, ten metres in length that would lift the logs the last twenty metres where they dumped into a large pond Mr. Gilmour had made. He had dammed up outlets from a marshy pond and a small lake raising the water level to about 7 metres, this became known as the Tramway Pond. The Tramway Pond supplied water power through a pen stock to the turbine at the bottom of the two jack ladders that were lifting the logs up and over the top of the height of land. This pond also allowed him to float the logs on to Raven Lake and then into the Gull and Trent Waterways, to Trenton Ontario, where his sawmill was located. 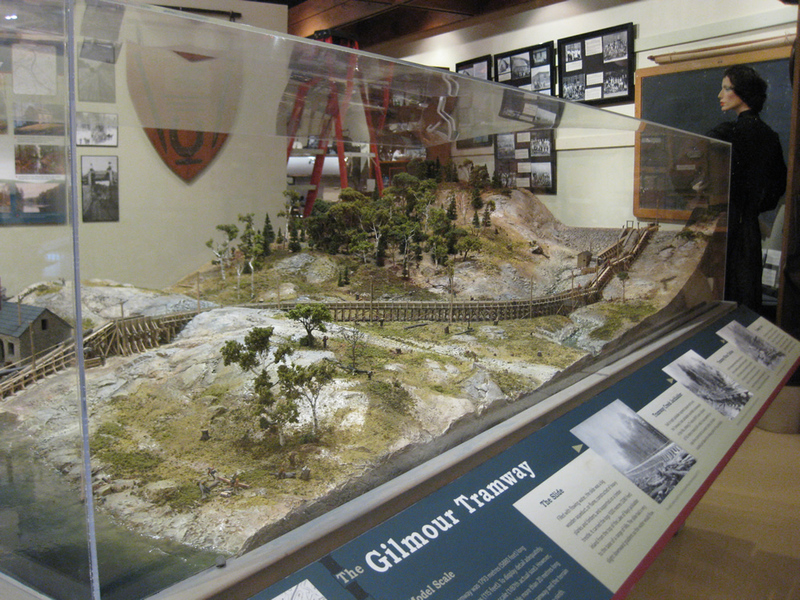 Stop into the Dorset Heritage Museum to see a scale model of the Tramway!